I, like many video game writers, have a niche: a cozy little corner of the world filled with our favourite types of games that we know the most about. I often write about indies with heartfelt stories — and rarely about anything to do with platforming. 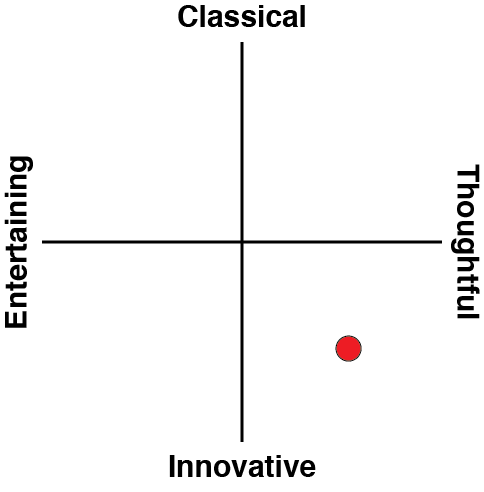 And yes, Unravel Two falls into both categories, so we can only assume I will love the narrative and hate the mechanics.. right? It turns out, that couldn’t be farther from the truth. Improving in every way upon the already-incredible Unravel, its sequel flat-out changed my mind about what a platformer could be and how easily it could play for someone with as little physical skill at games as myself. Thank you, Coldwood Interactive. Thank you. 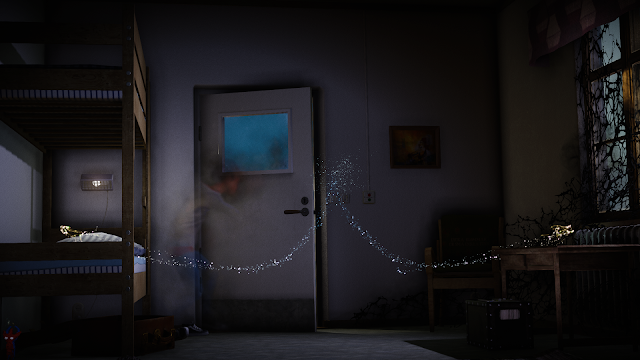 In Unravel, we follow Yarny as it helps an elderly grandmother revisit her memories. Unravel Two flips that narrative, looking into the future with a young couple instead of looking into the past. The idea is that every person on earth has a Yarny, someone who is with them through the ups and downs of life — and just maybe helps out with little miracles along the way. 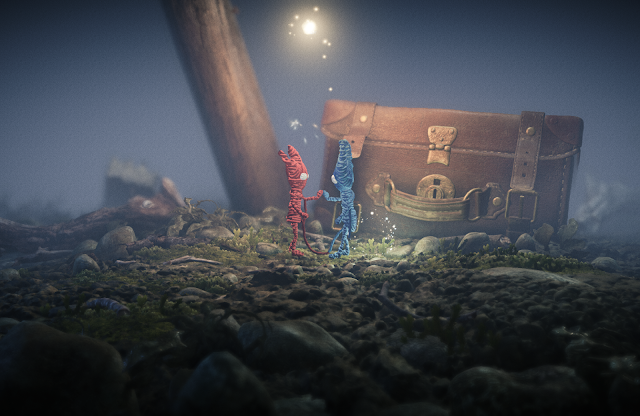 Each Yarny ages with their person, so in Unravel Two we have two versions of Yarny that are actually quite young and agile. Related reading: Did Matt S. love the original as much as I loved the sequel? Read his review for Unravel here. That’s a good way to incorporate the improved gameplay mechanics into the narrative, isn’t it? The instant my new Yarny friend started swinging around with its new friend Yarny, it was evident that flying through the air, climbing up objects, and solving puzzles is just more polished, more streamlined. If you were to watch me playing Unravel Two, you’d just hear me squeeing and yelling “weee!” an awful lot, because it’s just such a gleeful thing to do. I doubt Insomniac’s Spider-Man will even make swinging from surface to surface so gratifying. Really, I cannot praise Coldwood enough for the developer’s growth between titles. I picked up the original Unravel for a quick reminder prior to playing its sequel, and the difference is night and day. There will always be comparisons to the original, but honestly everything that has changed has been improved. I’m not getting stuck by being tied to objects anymore or seeking more lengths of yarn, which is worth shouting from the rooftops as it was my main struggle with Unravel. It’s actually strange for me to discuss gameplay before the actual narrative in a review, but the new mechanics are just so lovely it needed to be said. 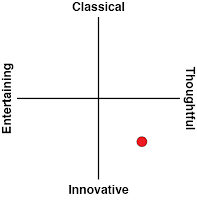 And if Unravel Two shines in that area, it must be a downright star when it comes to its narrative. We follow two youth as they grow from children, escaping mistreatment and abuse to find solace with each other. It a relatively short story, spanning six chapters (levels). After completing a level, a challenge area for said level opens up. Here you can rescue other Yarnys to earn new bits and bobs to customise your in-game Yarny, from new heads and bodies to yarn colour. You can slow down time if struggling with any part of the level, something I expected to use but mostly I found that it disrupted my rhythm and made everything harder. I would imagine if I just left it on, I’d keep the rhythm — which is something I would do if I was having, say, bad pain in my thumbs. Something else that may help players is the ability to change either Yarny’s colour right off the bat; if blue or red is difficult for you to see or differentiate, there are other options as well that don’t require unlocking via challenge levels. It was incredibly important to me to experience the game with two players, so after a couple levels on my own I recruited my other half to join me. This is normally a recipe for disaster, because we tend to only co-op on Lego titles that are so riddled with bugs I give up in ten minutes. But it wasn’t this time. Even splitting into two players, the gameplay mechanics remained completely fluid. We never struggled to swing from the other, or keep near to each other, or merge quickly to make quick passage. Okay, the odd puzzle was a bit frustrating, but nothing that made me really stuck for any long amount of time. 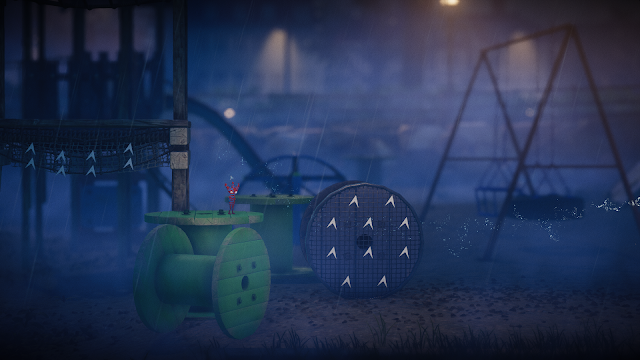 In the hours following Unravel Two’s release, I did see several complaints that the co-op mode is only local and cannot be played online. Honestly, after playing with someone next to me, I think being online would be detrimental to the experience as a whole. Unravel Two (and the original) are whole-hearted titles that will make you feel. Bring someone into the experience as, say, a stranger online, would not have the same effect. Being with someone you love (or at least know), in close proximity, you trust each other. You play off each other, not just in words but in body language because you can actually see one another. There is an immense amount of trust there, inherently. Maintaining couch co-op only means the title can keep it’s close-knit, emotional feel. It’s something I support whole-heartedly. The graphics. Oh, the graphics. Objects and animals in the environment interact with what is happening in the foreground. Each version of Yarny is extremely animated and reacts to situations with its buddy. More importantly, in shifting from the countryside to including some cityscapes, objects such as cars can be introduced. This means Unravel Two looks exactly like Unravel, just more, if that even makes sense. I find myself moving closer and closer to the television set wanting to see the details close-up, but then I hear my grandmother telling me I’ll go blind if I sit that close to a screen (if only she knew where the world was going...) and return to admire from the appropriate distance. Emotions and memories are strange things indeed. Having a sentimental moment about my grandmother prior to her death wasn’t exactly the expected reaction from enjoying Unravel Two’s graphics, but I believe that is also the place the game puts me, and hopefully others. It’s that delightfully human place in your heart, filled with memories and the accompanying emotions, that comes after being touched by something or someone in a positive way. I think that’s spark that I am chasing in the game: emotional connection. Earlier in this review I stated that Insomniac’s upcoming Spider-Man game has a lot to live up to with Unravel Two’s swinging mechanic, and that statement is very telling of my overall opinion of the game. I cannot count the number of titles that could learn from its subtle storytelling yet incredibly emotional narrative, the choice to scale back multiplayer to an intimate personal setting, the way the background interacts with the active foreground. Unravel Two is heartwarming, sweet, even funny — and I can think of very little to change, if anything.